Really nice bag. Great transaction. Denim : You love it or to hate it. 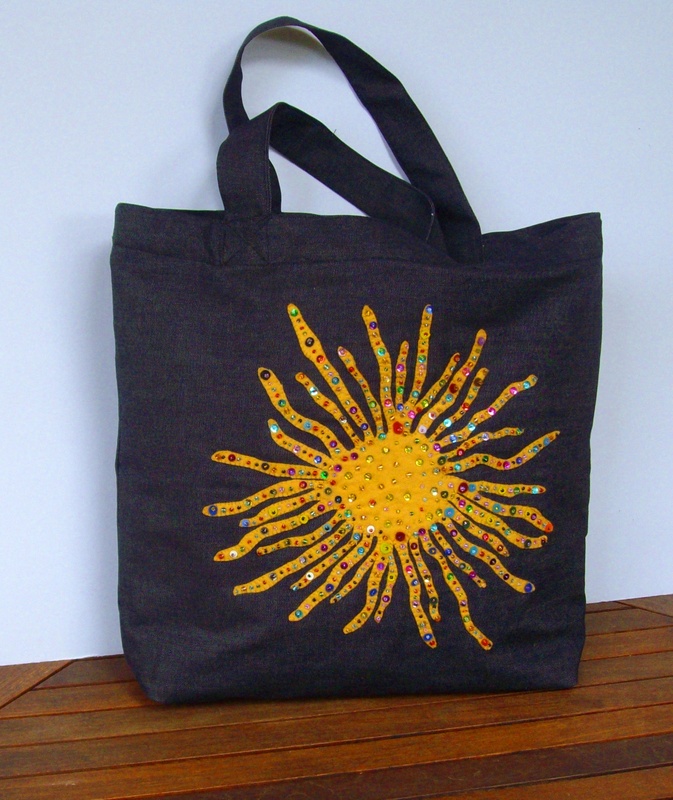 I love to work with denim and turn it to funky tote bags . The result is absolutely unique and amazing . Each bag adhere my practice to create an elegant and stylish product. The durability of the denim lends a funky look to each item, creating a unique, one-of-a-kind style. 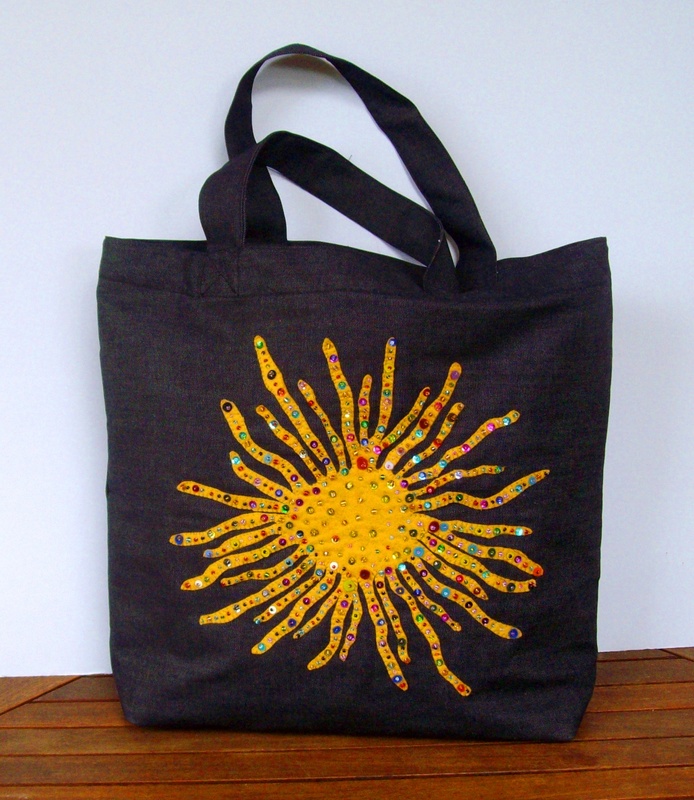 The sun is hand embroidered with glass beads. 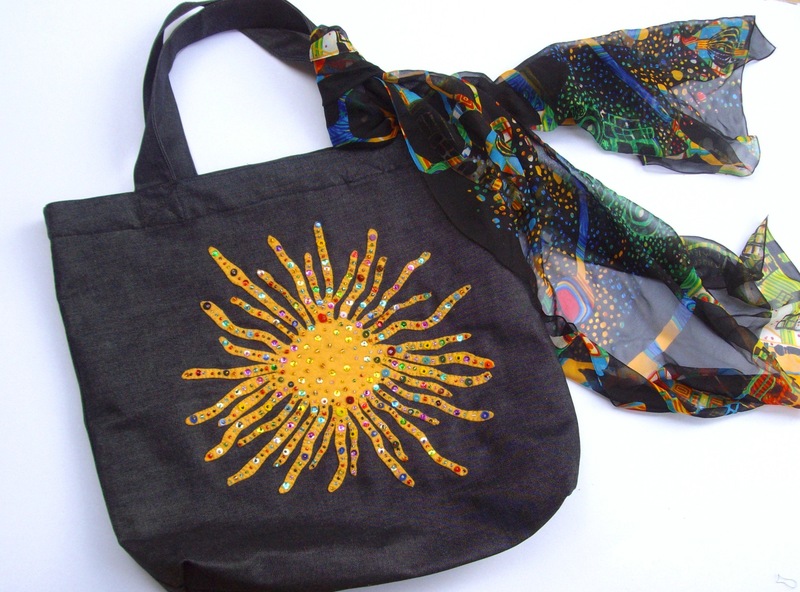 The bag is lined with fabric and interfacing was used to give the bag some structure and stability, making it very sturdy.